Explore a lectin-free world, and discover lectin-free recipes to get you on your way to gaining more energy and feeling better. Great audio, Not great for people with allergies. 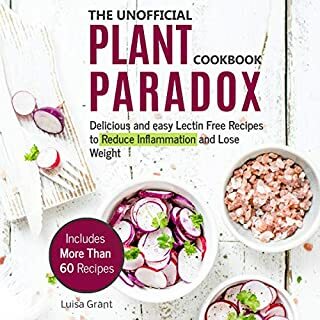 So far I have listened to 3 chapters, and I am sad that no one mentioned that she is using ingredients that are not on the plant paradox list. So far I have heard bran, dairy, and granola and I am only into the 3rd recipe. Plus there is no PDF to this book so you have to listen to all of it then find your recipe. On a good note, she reads it well and it is informational. But just not for me since the whole point of plant paradox is to get away from things that would destroy your gut. My gut is damaged and I can not have things like those stated above. I loved almost every part of this book and the one part I didn't identify with was her talking about terabytes, Since I don't really care about that stuff I just tuned it out. As for the rest of the book it hit an aspect of every part of my life and she's very clear on how to begin change it. 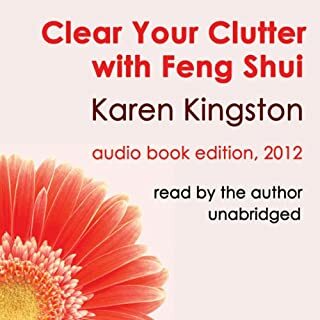 Thanks to her story I have already put into action in one week things I could not do for myself for years, when it came to clearing the clutter of my home and my life.